Increasing numbers of birds do seem to be the most obvious indicator that our restoration projects have been successful, however there are many other creatures finding the habitat suitable for breeding. A movement among the fallen leaves of the Leichardt trees (Nauclea orientalis) alerted me to the presence of this tiny freshwater turtle. As I wasn’t carrying a camera at the time I brought it back to the house for a short photo session and then released it in our garden pond. 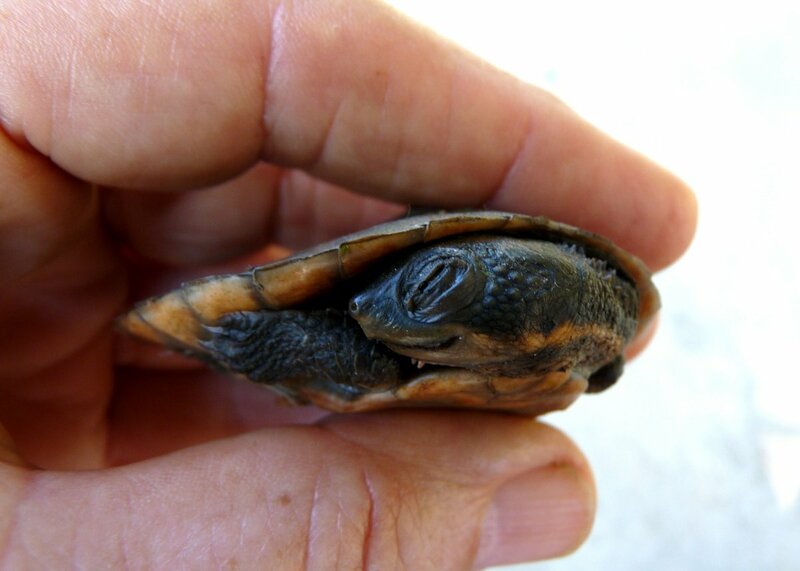 Not uncommon to see Saw-shelled turtle (Elseya latisternum) here but we’re always so happy to see a young one. It must have been a great relief to this little creature to find itself released into the relative safety of rocks and vegetation on the edge of a little pond. 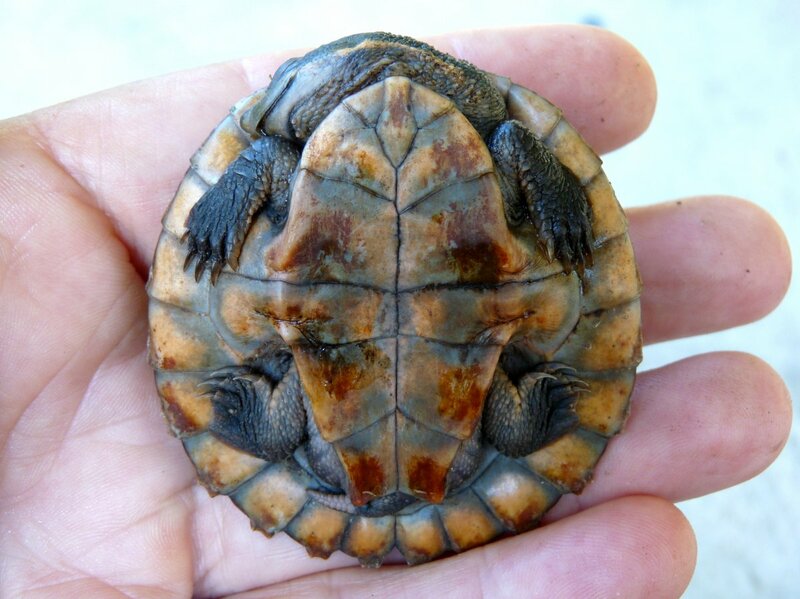 Although I find it difficult to gauge a turtle’s reaction, I would imagine that to have its underside exposed would make it feel horribly vulnerable. I only held it upside-down long enough for a photo and then placed it carefully on the edge of the pond and waited quietly until its head appeared. It wasn’t long before it was in the water and well hidden from view.